Who Can Benefit From PRINCE2? Whatever your company’s sector, industry or location might be, project management is definitely relevant to you! When you steer employees and resources towards a specific goal, outside of general day-to-day operations, you are effectively managing a project, and it won’t take long for you to recognize how uniquely challenging this can be. Indeed, successful projects require careful consideration of a variety of different factors, as well as solid planning, communication and control. Project management professionals also know the importance of maintaining a focus on the business case throughout a project; otherwise, resources and effort can be wasted on tasks that do not deliver any significant value. Naturally, the growth of project management as its own discipline has resulted in the appearance of a variety of standardized frameworks. The most popular of these is PRINCE2, also known as ‘PRojects IN Controlled Environments’. It offers a well-structured yet general approach, providing users with a process-based system that separates complicated projects into more manageable tasks. Practitioners can enjoy greater flexibility, a firm organizational structure, clear roles and responsibilities for team members, and more! All of this has made PRINCE2 the de facto choice for project management. Over the years it has helped thousands of organizations to save time and resources while also enabling them to achieve greater project results and ROIs. At the same time, the framework is also non-prescriptive, allowing users to modify it depending on the needs and environments of individual projects. Because of this, PRINCE2 has been used extensively by the UK government, as well as public and private sectors in virtually every industry. 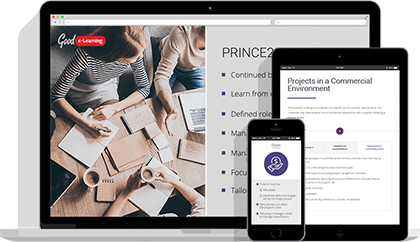 Over the last few decades, PRINCE2 has proven to be immensely popular, particularly in Australia, Europe and the United Kingdom. It has even been combined with Agile project management to create one of the most flexible and holistic methodologies currently available. Of course, investing in PRINCE2 training can be a big commitment, especially for individuals. It is important to look into whether it will be worth investing in, particularly for anyone tasked with selling PRINCE2 to their organization. To help you along, we’re going to take a look at exactly who can benefit from studying and utilizing PRINCE2! Project management has become a valuable discipline in itself, with project managers being highly sought after in most industries across the world. This has made certifications in frameworks like PRINCE2 highly desirable, as they can validate a manager’s experience and abilities in planning, implementing, concluding and learning from crucial projects. As a result, PRINCE2 training has become an excellent career stepping stone for ambitious project managers. Studying at Foundation and Practitioner level can create ample employment opportunities at organizations which utilize the framework. According to Indeed, a candidate with a PRINCE2 2017 certification can earn between £35,000 and £65,000, or $85,300 and $135,300, depending on their certification and level of experience. While more experienced managers may consider corporate training unnecessary, especially when it comes to Foundation level, it is worth keeping in mind just how widely used PRINCE2 and PRINCE2 Agile are. The right certification can help experienced candidates reach higher levels of management at a much faster rate. Also, as valuable as project management experience is, having a repeatable and standardized approach is still essential to avoid wasted time, resources and effort. These days, corporate qualifications are becoming a lot more common. On a CV, they can be an excellent sign of a candidate’s skills, experience, dedication and ambition. In fields like project management, certain certifications may even be expected as standard from candidates with a certain level of experience. Finding PRINCE2 on a candidate’s CV or resume can make a hiring manager’s job much easier. Those with Foundation certifications can make valuable and constructive contributions to project management teams, while anyone with a PRINCE2 Practitioner certification can take the reins of projects, helping organizations to enjoy much greater control, flexibility and ROIs. Granted, a PRINCE2 certification alone will not necessarily qualify a candidate for higher-level positions. Experience will still be as crucial as ever, and anyone you consider for a management or leadership role should have plenty of examples to demonstrate their ability to apply the framework in practice. PRINCE2 is more than just a management tool. A PRINCE2 Foundation certification can also help those involved in project support, design, development and delivery. Knowing the PRINCE2 language will also help them to communicate with managers and other team members, minimizing confusion and making sure that projects can go according to plan. This is particularly true for PRINCE2 Agile. The Agile side of the methodology encourages greater autonomy for individual team members, giving them more chances to show what they can do while still ensuring that managers can take control when necessary. While PRINCE2 offers a tight control structure and a standardized approach, it is also general and non-prescriptive. In other words, it can be altered to suit individual projects, and the advice is also generic enough that it can be applied to most project environments, regardless of industry, size or sector. Every organization from multinational conglomerates to tiny startups can benefit from PRINCE2, and it can even accommodate a company as it scales up. Why Gain a PRINCE2 Certification with Good e-Learning? When studying for a PRINCE2 certification, it is important to use an established and high-quality online training provider. Courses which offer remarkably cheap prices or ‘quick certifications’ will often have poor-quality content, and they may not even be accredited by AXELOS. In this case, even if you pass the exams, your qualifications will not be recognized. Good e-Learning is an award-winning e-course provider which covers many of the world’s most popular corporate standards and frameworks, including PRINCE2, ITIL 4, Lean and TOGAF 9.2. Our courses are all fully accredited, and candidates can even enjoy FREE vouchers for the official PRINCE2 examinations. We understand the difficulties of studying while in full-time work, and we aim to solve this in a number of ways. Firstly, we provide months of course access, giving students plenty of time to fit studying into their schedules. Secondly, our courses are fully accessible on computers, tablets and even mobile phones, so users can return to studying any time, anywhere. Finally, we provide 24/7 tutor support, with our in-house experts aiming to respond to questions in 24 hours or less.